ACUDETOX NADA Circle of Care: For those struggling with Addictions, Stress, Anxiety, Trauma and Loneliness. 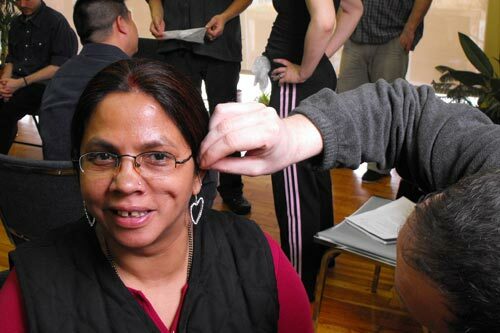 Join our Free, Confidential, No Intakes, Ear Acupuncture Circle - a mindful, silent, transformational treatment conducted in a community setting. There is no need to say why you are attending, no need to divulge your personal or health history - you simply come, join the session which lasts for approximately an hour. You are welcome to drop-in and stay for as little or long as you would like. No appointments required. Just show up, be cared for and experience.